CornerStone 100 retaining wall block photos. Below are examples of landscape projects that have been completed. 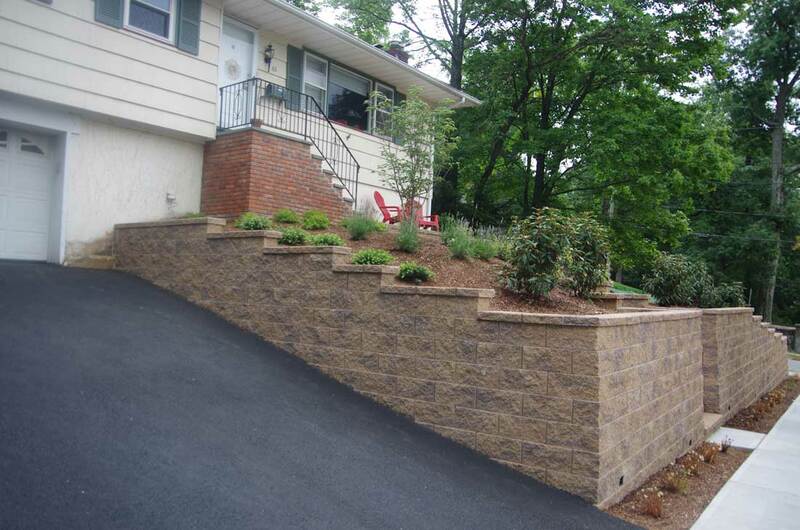 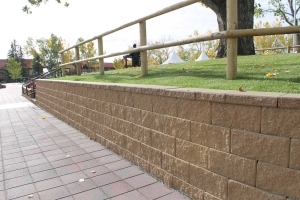 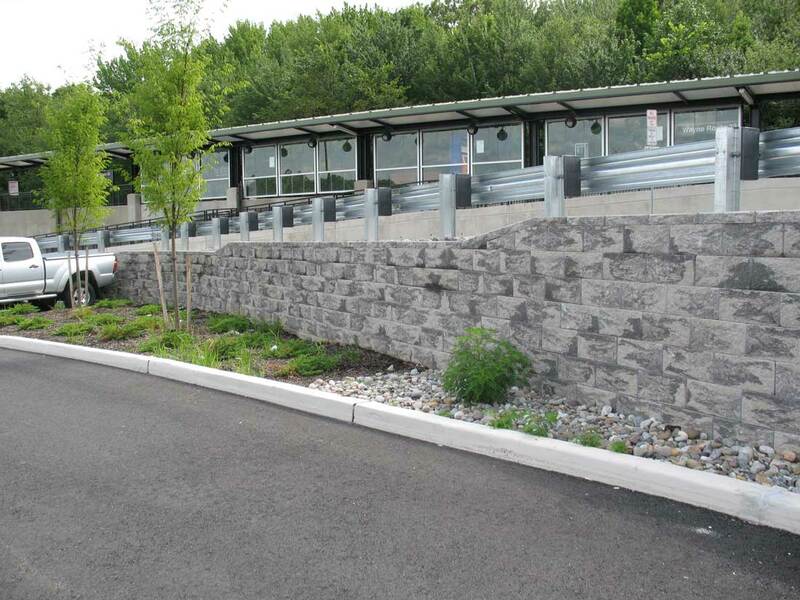 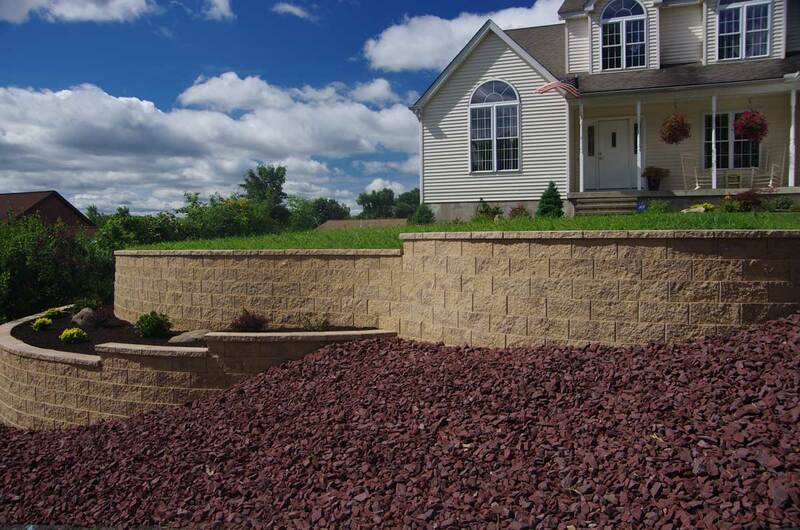 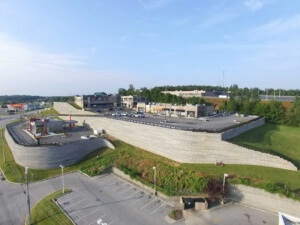 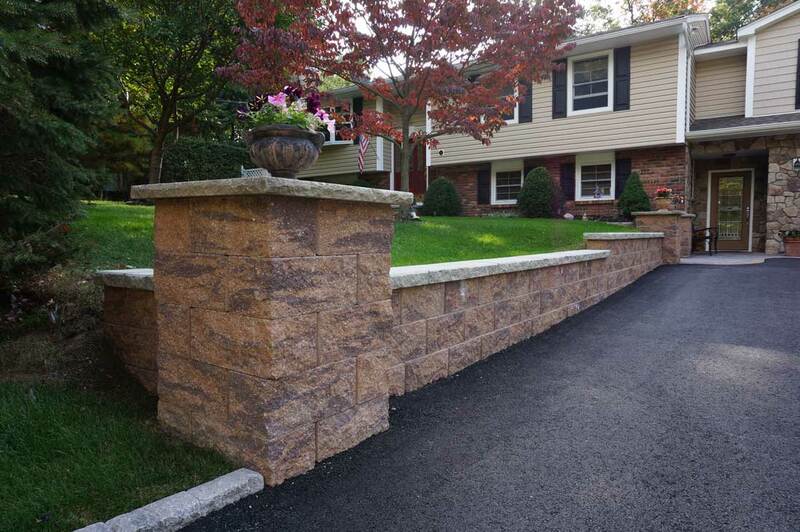 Photo gallery of retaining walls ranging from large commercial to simple backyards. 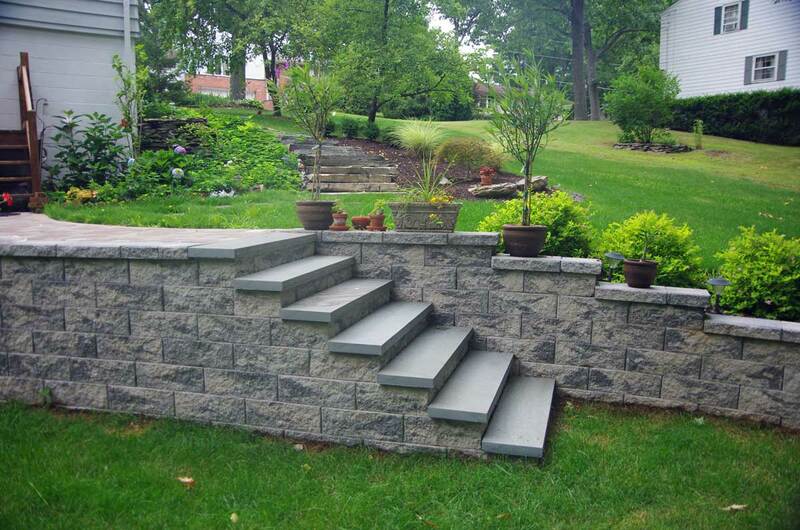 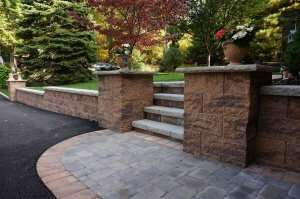 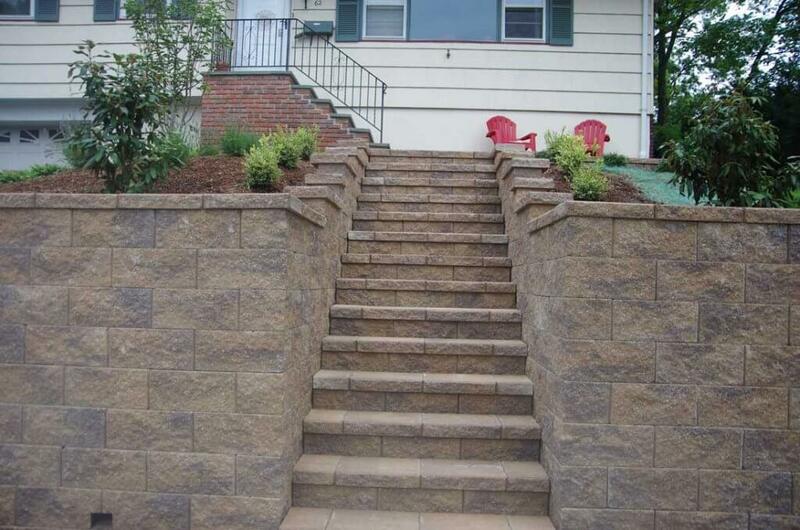 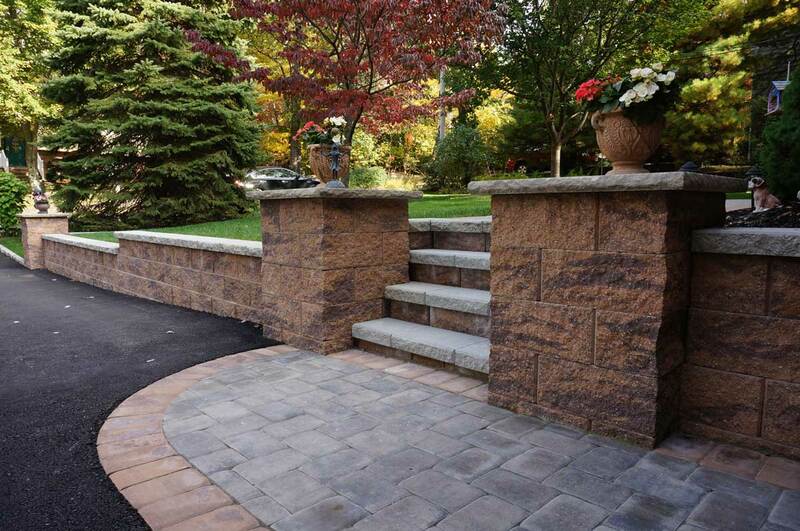 The use of the blocks are endless and with correct installation procedures your retaining wall will last a lifetime. 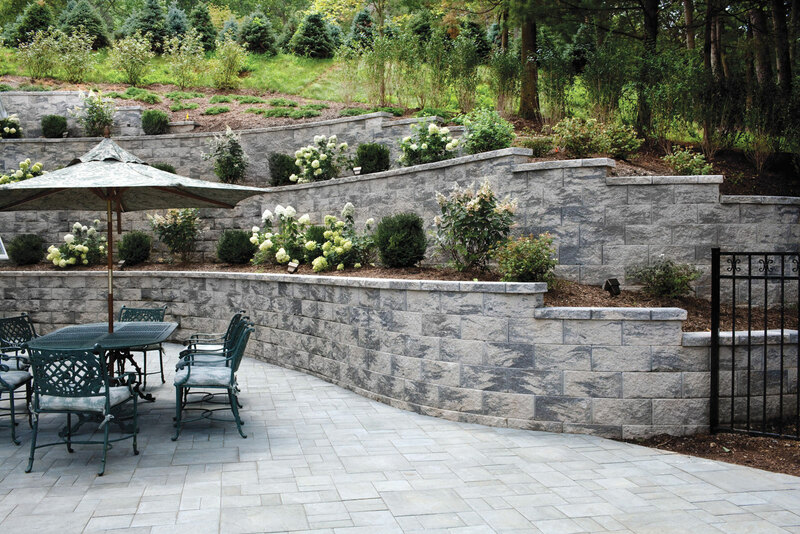 Take your time and get inspired by all of the incredible project that have been built. 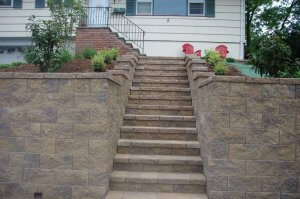 Retaining wall blocks for stairs and curves using cornerstone 100. 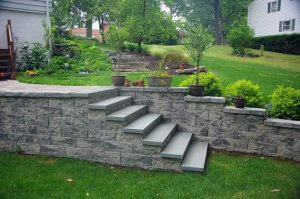 CornerStone block retaining wall for stairs. 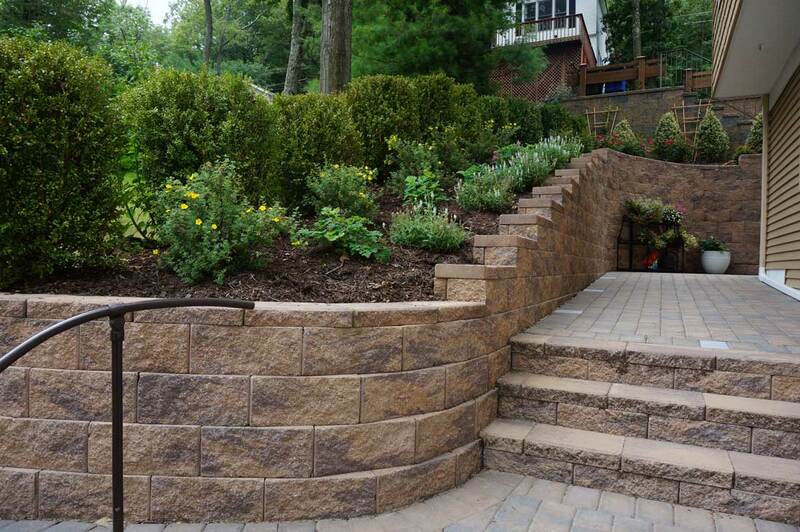 Cornerstone block retaining wall with fence post on top.